When You Need to Consider Alternative Methods - Kate's Blog about kiddies! Living with two young children and an incredibly hyperactive dog there will always be times when things get ruined and broken. I have had my sofa for many years, and the kids and dog love to use it for everything other than sitting. Finally, the sofa gave up the other day, which left me with the dilemma of how to get a new one as cheap as possible. My goal to save 10K this year seems to be doomed, and when the children decide to break the sofa, it feels as if everything is against me to succeed. I decided that I would not go for the easy option and visit the local sofa shop as this would eat into my savings. Therefore, I needed to find an alternative, which I soon discovered was Freecycle. Whilst reading BBC.co.uk I soon discovered that many people want to give their unwanted items away for free. This meant that I could search for a sofa, which in good condition and perfect for my hectic household. You learn very quickly when you have animals and children that new items are simply not worth purchasing. Freecycle is amazing and can be found all over the country, ensuring that you discover the local people and what they have to offer you. The concept of Freecycle is to help reduce the amount of rubbish in landfill sites, and provide old items with new homes. By encouraging more people to recycle their goods, it will help the environment, and get me a new sofa. Once you find the scheme which is closest to you, there are rules and etiquette to learn, but these are not difficult. I simply posted that I needed a sofa in the London area, and was amazed at the amount of people giving away fantastic sofas. I was expecting some really scruffy options; however, I soon discovered that there are some strange people who throw out excellent quality items. 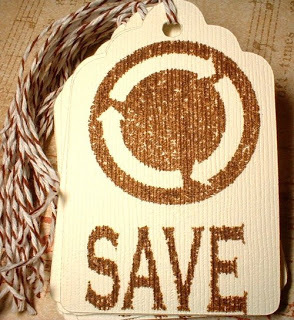 I have always agreed with recycling, and think that if everyone did a little, the world would be a better place. There is far too much wastage in the world, and as I continue on my goal to save 10K this year, I realise how wasteful I have been in the past. I have managed to get a respectable sofa for the house, for the kids and dogs to leap on and enjoy, without spending anything. This has shown that through the generosity of other people, I can achieve my goal, and save the money I want to this year. Hopefully I fi remain positive, and continue to search for alternatives, this year will be a fantastic one.